Jewellery making with International Craft: What is Steampunk jewellery? Based around the Victorian industrial revolution when the steam engine changed the face of Britain. 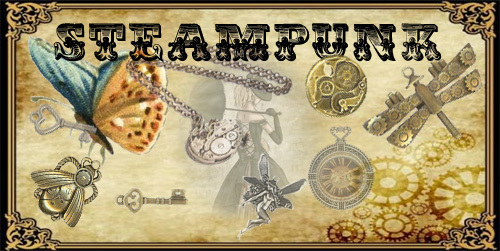 Steampunk is mixture of science fiction, fantasy and alternative history. Although Steampunk came into prominence during the 80's and 90's it is now going through a much greater and wider revival - especially Steampunk Jewellery which more and more people are starting to prefer as a must have fashionable accessory. Steampunk jewellery is way of expressing this genre. 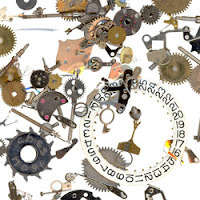 Typically made from recycled Watch Parts, Cogs, Gears, Vintage Clock faces...ect. Steampunk jewellery is all about the aged and antique look of the Victorian era, made with Antique Gold and Antique Silver plated findings to enhance and age the jewellery without losing the quality.